The Dash and Pixie are built with the same attention to detail as every Opus youth bike, featuring aluminum frames, safety headsets and cool graphics. 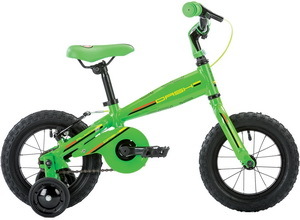 With pedals and training wheels, kids get their first taste of freedom; they can pedal wherever they like, and the easy-to-use handbrake and coaster brake provide control. That’s a lot to offer in such small packages. But since they’re built by Opus, it’s exactly what you’d expect.